Aneurin Bevan, pictured here was one of the most important ministers of the post-war Labour government and the chief architect of the National Health Service. Brighton and Hove branch of the NHS Retirement Fellowship is leading the way in celebrations of the 70th anniversary of the NHS, which was founded on 5 July 1948. 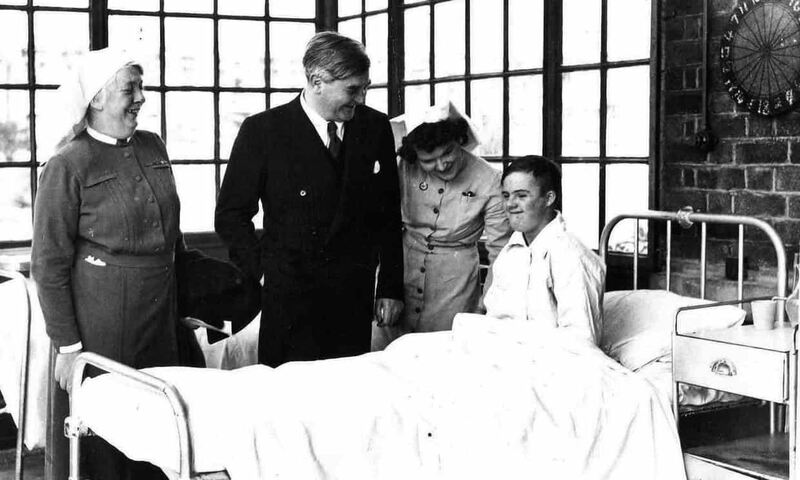 Thanks to the initiative of two of its members, Peter and Sheila Sheppard, the 27 member branch which was founded in 2011 has collected memories of life in the NHS to form the basis of an exhibition at the Jubilee Library, Brighton from July 3 to 15. The Brighton exhibition will be officially opened by the Mayor of Brighton and Hove, Councillor Dee Simson at 2 p.m. on Tuesday 3 July. It is the first of 10 events in England, Wales and Scotland being organised by the NHS Retirement Fellowship, supported by a £10,000 grant from the Heritage Lottery Fund. 2018 is a year for double celebrations for the NHS Retirement Fellowship because it is also the fortieth anniversary of the organisation, whose 10,000 members played their part in building the health service of today and who now provide social, leisure and welfare support for each other through a network of 150 branches.